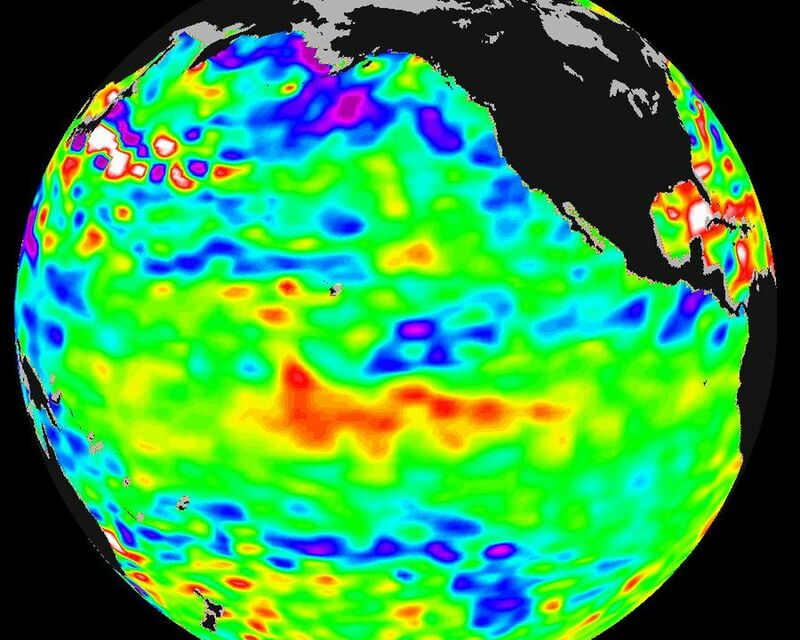 Space Images | El Nino: Pumping Up or Fizzling Out? 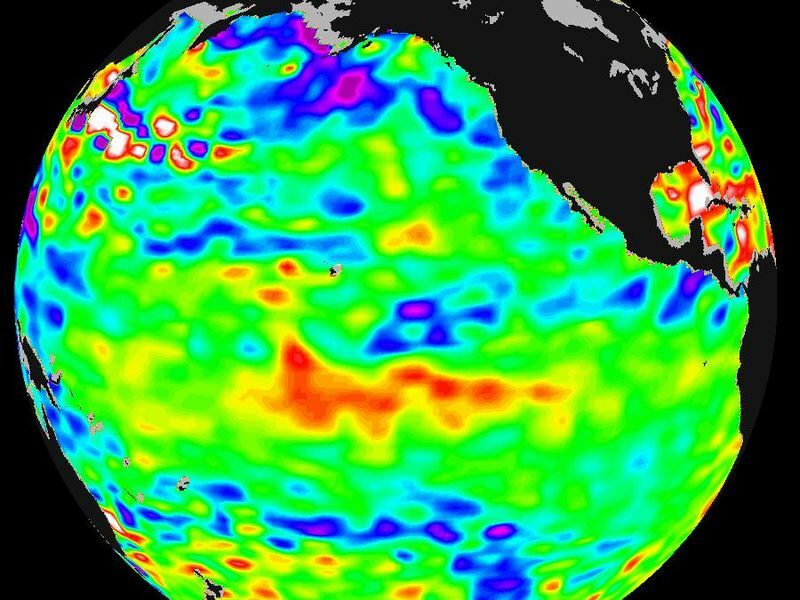 El Nino: Pumping Up or Fizzling Out? 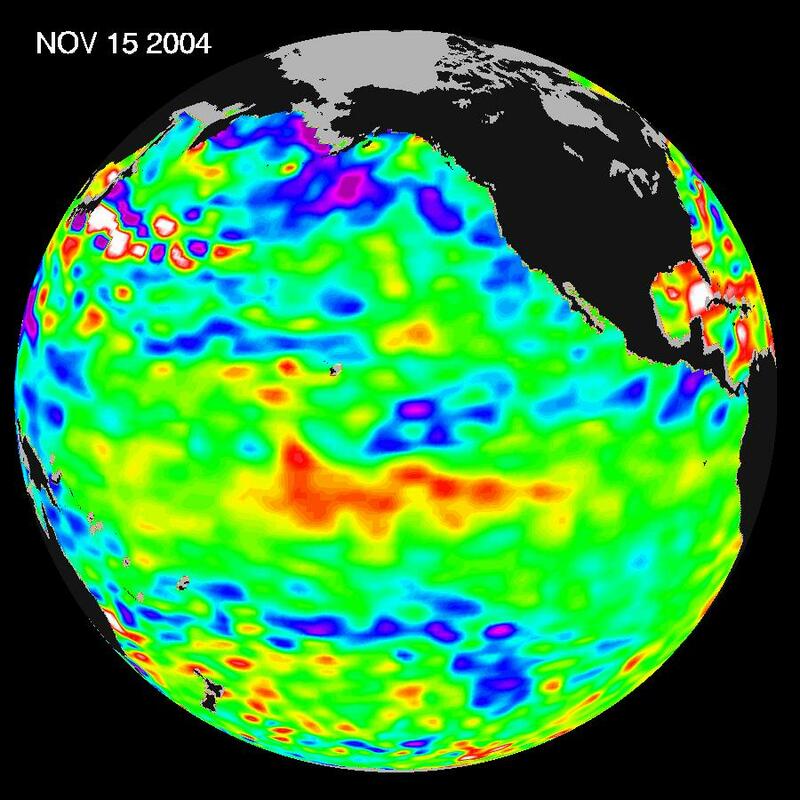 Recent sea-level height data from the U.S./France Jason altimetric satellite during a 10-day cycle ending November 15, 2004, show that the central equatorial Pacific continues to exhibit an area of higher-than-normal sea surface heights (indicating warmer-than-normal sea surface temperatures) between 180 degrees West and 130 degrees West. This feature, should it continue and spread eastward through November and December, could elevate the present weak El Nino episode to a moderate or stronger event. Previous warmings over the past several months, however, have dissipated. 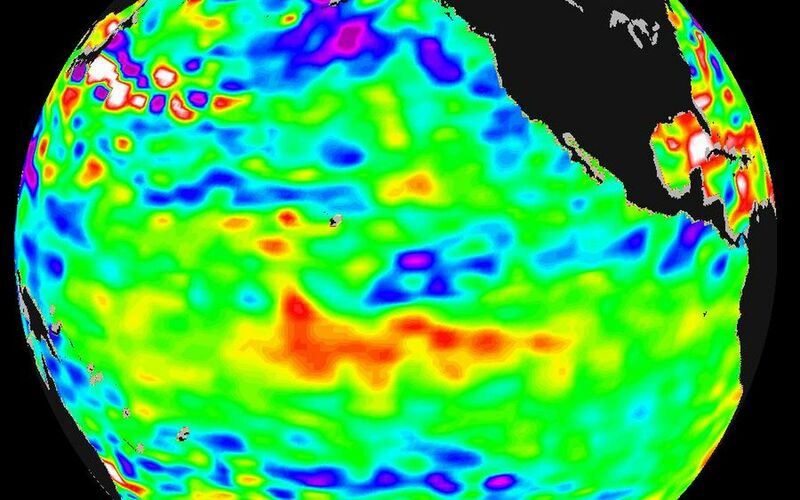 Scientists will continue to monitor the Pacific closely for further signs of El Nio intensity and development. The image shows a red area in the central equatorial Pacific that is about 10 centimeters (4 inches) above normal. These regions contrast with the Gulf of Alaska, where lower-than-normal sea levels (blue areas) continue that are between 5 and 13 centimeters (2 and 5 inches) below normal. Along the equator, the red sea surface heights equate to sea surface temperature departures greater than one degree Celsius (two degrees Fahrenheit). To view the latest Jason-1 data see http://sealevel.jpl.nasa.gov/science/jason1-quick-look/.